A recent study published in the Journal of the American Dental Association discusses the use of MTA (Mineral Trioxide Aggregate) as a direct pulp capping agent. Up to now, MTA has been used mainly by specialists, mostly endodontists, as a restorative material for root end fillings (apico retrofills) and root perforation repair. However, new applications for MTA may put it in the hands of a wider variety of practicioners. MTA is a bioactive silicate cement. It is essentially a medical grade portland cement. There are several properties of MTA that make it such an ideal material. It has small particle size, alkaline pH when set and slow release of calcium ions. It is known for its sealing ability. It has also been reported to induce cell proliferation, cytokine release, hard tissue formation and an interface with dentin resembling hydroxyapatite. It is non-absorbable and requires moisture to set. In short, its sealing ability, biocompatibility & hydrophilic nature make it an excellent repair material. Endodontists have been using MTA for pulp capping, apexification/apexogenesis for all of the properties described above. The recent article by Bogen, Kim & Bakland provide evidence that supports the use of MTA as a direct pulp capping agent. The authors selected 53 teeth that had deep caries with vital pulpal tissue and no prior restorations. Caries were removed under magnification and NaOCl was used to obtain hemostasis within a short period of time (1 to 10 min.). 1.5-3.0mm thick layer of MTA was placed over the exposure. The teeth were restored provisionally with unbonded resin restoration. At a subsequent visit, the teeth were restored with a bonded restoration. Over a 9 year period of observation, the authors found that 49 of 53 had a favorable outcome on the basis of radiographic appearance, subjective symptoms & cold testing. All teeth (15 of 15) in younger patients with open apices showed completed root formation (apexogenesis). Many are reluctant to perform direct pulp capping procedures due to unpredictable outcomes with traditional materials. MTA may be a more predictable and successful material for direct pulp capping teeth with a pulpal condition no more severe than reversible pulpitis. Interesting study but I don't have full access -- it wasn't randomized with anything so it's not really a strong study at all to say that this provides any benefit. Also, MTA can be a complete pain to work with if any moisture is present. My understanding is in apiectomies the benefit over fortified EBA is more theoritical than practical (e.g. it allows calcific bridging but doesn't change the success rate). Would this study change you're practice? By the way, I've RSS'd the blog and enjoy -- if you feel it appropriate would you link to mine? thanks Ian. That is correct. It is not a randomized study. However, my point was that MTA has been used clinically by endodontists and it's sealing ability seems to be better than any other material. I love working with MTA. Like any material there is a learning curve, but its kind of like working with wet sand. 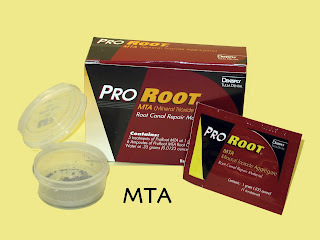 MTA is a perfect material for a moist environment. The fact that it needs moisture to set up is a benefit. Moisture in the presence of almost all other restorative materials will affect the seal. One important point is that it cannot be used where it might wash out from a continuous flow of saliva. For example, supracrestal root repair. Although I am naïve to the field of endodontics, I found your post intriguing because, on the other hand, I am very aware of the issue involving the health hazards of certain materials used in dental work. It was only recently brought to my attention that harmful substances are found not only in fillings, but in dentures, veneers, and in capping agents as well. From my understanding, MTA is a type of cement that is easy to use, more predictable than traditional materials used for capping, and more importantly, safe for the patient. As I am sure you are aware, many practitioners are unfortunately reluctant to incorporate the use of newer and safer material in their practices, so the inclusion of the data that supports the use of MTA as a direct pulp capping agent is appropriate and necessary in your post. You state that, “Over a 9 year period of observation, the authors found that 49 of 53 teeth had a favorable outcome on the basis of radiographic appearance, subjective symptoms & cold testing,” which seems remarkable. Since practitioners are trained to rely solely on evidence based dentistry and medicine, it might be beneficial to include additional cases similar to the study in your post to sell other dentists on this new product. Regrettably, the fact that it can do wonders for the patient, by inducing cell proliferation, cytokine release, and hard tissue formation, is still not enough to convince all professionals to use MTA. As you have mentioned, it can also potentially be used by a wide variety of specialists and general dentists, which should also add to the benefits of MTA and encourage its use. My question to you is, how can other specialists besides endodontists employ this material? I am curious to know because, although I do not expect to enter the field of endodontia, I want to integrate the best and safest materials in my own practice in the future. 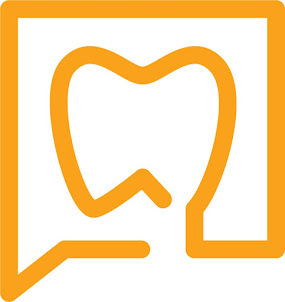 By informing dentists of all types about the applications of MTA, perhaps more MTA will be put to use, making the dentist’s job easier, which could ultimately yield more successful and safer outcomes. I think MTA works excellently.. The histological results on teeth that are extracted post pulp capping and 3 weeks are excellent. There is a definitive barrier formed over the exposure that is much better than that formed with calcium hydroxide. I guess white MTA is preferred to the grey MTA( shown in your picture) as it is a procedure that is done in the coronal portion of the tooth and is visible. Infact, Proroot MTA( Dentsply) is now only available as white MTA if iam not mistaken? Good update nevertheless.. Thanks. Kriti. India. MTA WORKS!!! I have been using this protocol (except I just finish the resoration in one visit) since 2002, after hearing Torabinajad himself. The article you cite is very good. What is amazing with MTA is that you can have a ridiculous carious pulp exposure, fix it, and call the patient after anesthesia is worn off. They DON'T have any sensitivity. I have performed this method hundreds of times, and have almost no failures. I am in NW PRECEDENT (https://workbench.axioresearch.com/NWPrecedent/index.htm) and they are currently undergoing a comparative study with MTA vs CaOH in exposed vital teeth. I'm very confident it will bear out good evidence that this works; I gave the original suggestion, and all the supportive studies show amazing results. This will be a true clinical result. EVERYONE, PLEASE TRY THIS STUFF. IT WORKS. We are, perhaps, becoming more aware and insightful regarding the impact appearance has always had on our choices and behaviours.i like the conversation here..
i use MTA for pulp capping, sometimes it is magic but where pathology is uncertain (chronic pulpitis) under a big caries, it doesn't work. The fact is you don't know how advanced is the pulp disease, and the outcome. I admit I had over 70% success over 3 years, but failures are irreversible pulpitis, high pain etc. I think it depends on local microflora and toxins. The more advanced the infiltration is, the lower chances for success.